UN Human Rights Day: Where are our Rights? As Fiji joins the rest of the world tomorrow (10 December) in observing the United Nations Human Rights Day, it is timely to ask what significance the day holds for us here in Fiji where we are still denied many of our basic civil and political rights. This is particularly significant when one recognizes that in this year’s campaign the UN will primarily focus on two major covenants which make up the International Bill of Rights – the Covenant on Civil and Political Rights and the Covenant on Economic Social and Cultural Rights. There is no doubt that the regime’s imposed 2013 Constitution and the draconian decrees that continue in force under this Constitution, deny us our fundamental rights to freedom of speech and freedom of association and assembly. 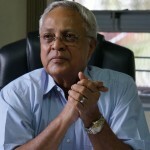 This violation of our fundamental rights has come under the special scrutiny of the United Nations Human Rights Council which among 138 other recommendations, called on Fiji to set up a Constitution Review Commission to undertake a comprehensive review of the constitution to make it reflect the will and aspirations of the people of Fiji. It has recommended that the legislative and constitutional framework be amended to maintain the separation of powers and cease any executive or political interference with the independence of the judiciary and the legal profession. Restrictions on the Fiji media and the intimidatory climate under which it is forced to operate ranked high among concerns expressed by the Council. It specially called for the repeal of the Media Decree, the Political Parties Decree and decrees that undermine the rights of workers and their trade unions. It will be remembered that Fiji is also currently under the severe scrutiny of the International Labour Organisation in respect of its restrictions on the rights of workers and trade unions. Unless satisfactory reforms are instituted, Fiji could face an ILO Commission of Inquiry on this issue. Do our citizens enjoy protection against torture and inhumane treatment? Obviously not as recent cases have highlighted ie the case of three Police Officers who were suspended on charges of brutality and sexual assault of an escaped prisoner three years ago. The suspended officers were then recruited into the Fiji Military Forces. At the same time a soldier charged with sexual assault was given refuge in the army barracks. Restrictions placed on freedom of speech and on parliamentary proceedings undermine the important role of the Opposition and prevents it from discharging its legitimate function as a government watchdog. Additionally, the requirement for a police permit for Opposition MPs wanting to hold constituency meetings, is clear evidence of restraints on political freedom in this country. Further indications of the violation of our political rights: FF government’s failure to table in Parliament the reports of the Universal Periodic Review of the UN Human Rights Council (October 2014 and March 2015) and the 2014 report of the Fiji Electoral Commission which recommends a number of significant changes to the Electoral Decree that elections are free and fair. These are just a few examples of how our fundamental rights are being breached. Despite the general elections last year and the purported return to parliamentary rule, what we, in fact, have is a continuation of the dictatorship by two people disguised as “parliamentary democracy”. We are a nation in shackles. We are not free. We are a frightened and intimidated society. Let there be no delusions about that. The United Nations Human Rights Day for us, therefore, is not a matter of celebration. It is a day to mourn the loss of our fundamental human rights, many of which were won after years of struggle. More than that it is a day to make firm resolve to win back those cherished freedoms.